President-elect Trump's choice of David Friedman as Ambassador to Israel appears to be an excellent decision. It has already brought howls of protest from people invested heavily in the Oslo and subsequent accords, the "peace process" and the concept of the United States as an "evenhanded" broker between Israelis and Palestinians. 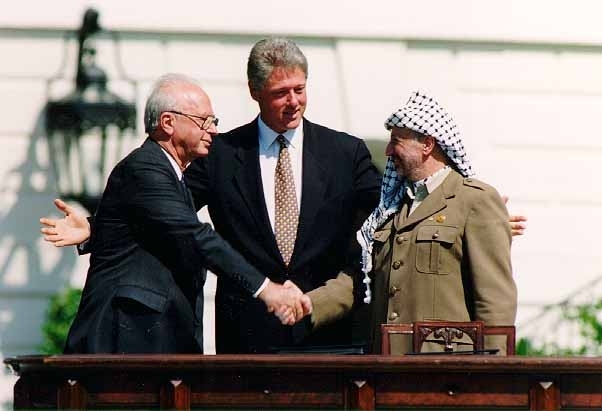 Friedman, an Oslo-skeptic, has said he believes that, "Notwithstanding 'agreements' reached at Camp David, Oslo, Wye Plantation and elsewhere, neither Yasser Arafat nor Mahmoud Abbas ever had any intentions to observe the minimal conditions required of a two-state solution." On the other hand, he said of Israel that he would work "tirelessly to strengthen the unbreakable bond between our two countries," correcting the relationship between two democratic, transparent, multi-cultural, multi-ethnic, free market, countries -- one large and one small. Israel goes from an impediment to American interests in the Middle East to a partner in a vital region -- innovative, experienced, and successful. The renunciation of violence, which was mocked by the so-called "intifada" and the Hamas rocket wars against Israel. The U.S. generally waves off Israeli objections to violent and anti-Semitic Palestinian rhetoric and complains about what it incorrectly calls Israel's "disproportionate" response to the rocket wars. By comparison, the Israel-Egypt Camp David Accords (the opening for which was also a surprise to the American government) were different because the United States was the patron of both countries, allowing President Carter to approach both from a position of strength. Israel's "gives" included the entire Sinai. Sadat's biggest, and essential, "give" was his appearance at Israel's Knesset, formally acknowledging the legitimacy of the Jewish State, followed by agreement to demilitarize the Sinai. Yes, after Sadat was assassinated, it was for decades a cold peace, but Egypt's exit from the circle of hostility made it possible for Jordan to sign a peace with Israel as well. Oslo, however, did not work. The last 23 years of "peace processing" and on-and-off "peace talks," included periodic open warfare initiated by the Palestinians. It also included warfare among Palestinian factions, Palestinian veneration of violence against Jews and of the perpetrators of that violence, and the absence of any democratic evolution among the Palestinians. The Obama administration generally imputed this to "settlements" and insufficient Israeli input. Hillary Clinton called Israel "lacking in generosity and empathy for oppressed Palestinians." Secretary of State Kerry opined that the "peace process" faltered because, "People in Israel aren't waking up every day and wondering if tomorrow there will be peace because there is a sense of security and a sense of accomplishment and of prosperity." While President Obama and Kerry have said there is no progress to be made at this time, their preferred path has been to freeze the situation in place -- or at least freeze Israel in place. That way, if the Palestinians are some day ready to meet their obligations (or at least meet with the Israeli Prime Minister), they can start from where the Arabs left off in 1948 with no penalty. For example, land east of the 1949 Armistice Line should remain as empty of Jews as possible so a future Palestinian state can be Jew-free; "settlements" are therefore illegitimate. The descendants of Palestinian refugees of 1948/49 should retain refugee status and their demand to live in parts of Israel from which their grandparents and great-grandparents claim to have fled. Jerusalem, the eastern part of which was occupied illegally by Jordan in 1949, should remain frozen as "East" and "West" so the Palestinians can believe the city could be redivided; certainly the American Embassy cannot move even to the western side. Instead of pushing Israel harder and giving the Palestinians a free pass, it would make more sense to lower the priority of Palestinian statehood in the context of Middle East politics and widespread warfare. Palestinian statehood demands should be taken seriously only within the context of bilateral negotiations with the government of Israel. American attention should be paid to the non-democratic excesses of Palestinian leadership -- and U.S. economic support and general support for the Palestinian Authority should be attached to improvements in press freedom, human rights and economic opportunity supported by the PA government. If the west would stop funneling funds to the so-called Palestinians, this mendicant state in the making would wither, and its people would disperse to other places where they can claim a free handout as their right. One side aspires ONLY to the death of the other while the other side wants peace! Why pretend and prolong the illusion! This is going to be the last time Abbas and his cronies moan about settlements. The new administration is going to be a lot more hostile to Abbas and the EU UN demands.